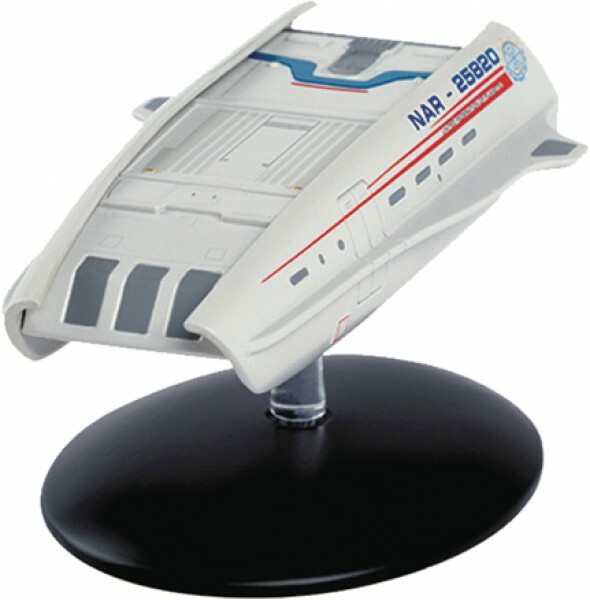 Iin 2293 the SD-103 ferried the command crew of the USS Enterprise-A to their vessel moored in Spacedock. 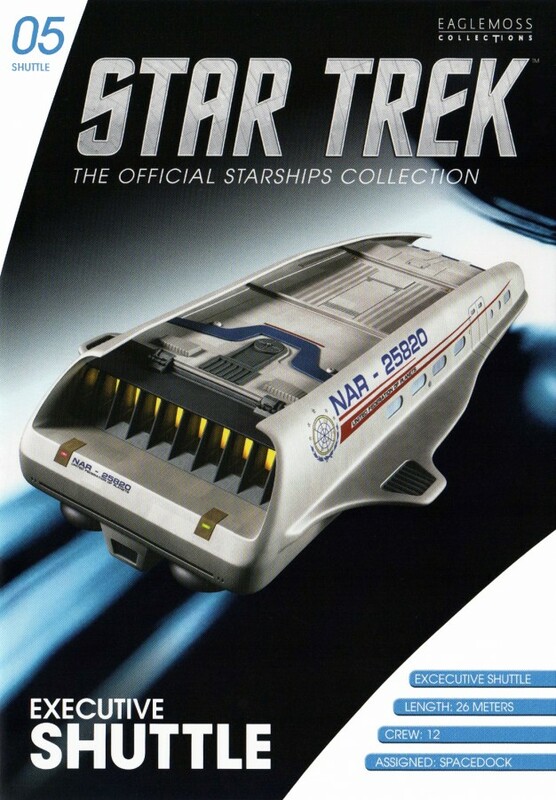 This model comes with a decorative stand, an english magazin and a LCARS (aprox. 12 x 8 cm) from the shuttle. Special edition, not available in the free trade.